Part of the success of the Camaro was the wide variety of engine options that were available. Here's a summary of the factory domestic engines, their availablity, and production totals. (Other engines were used in export models, foreign-built models, and dealer-modified Camaros.) A complete listing of engine codes is shown on the Drivetrain Decoding page. A complete listing of production options is on the Options page. 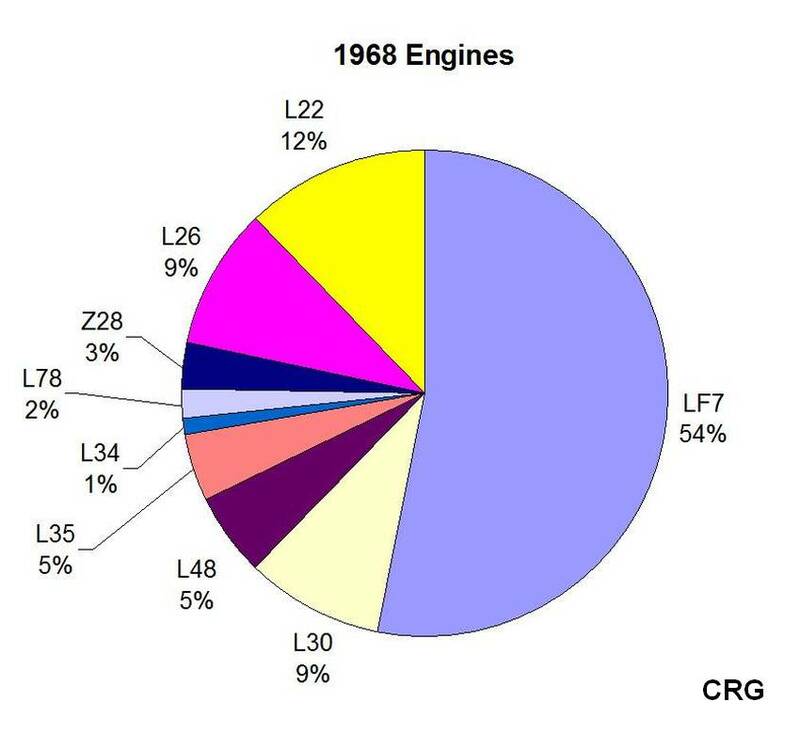 Engine options introduced mid-year 67 are shown in the late 67 column. Engine options in 69 that were available all year are centered. 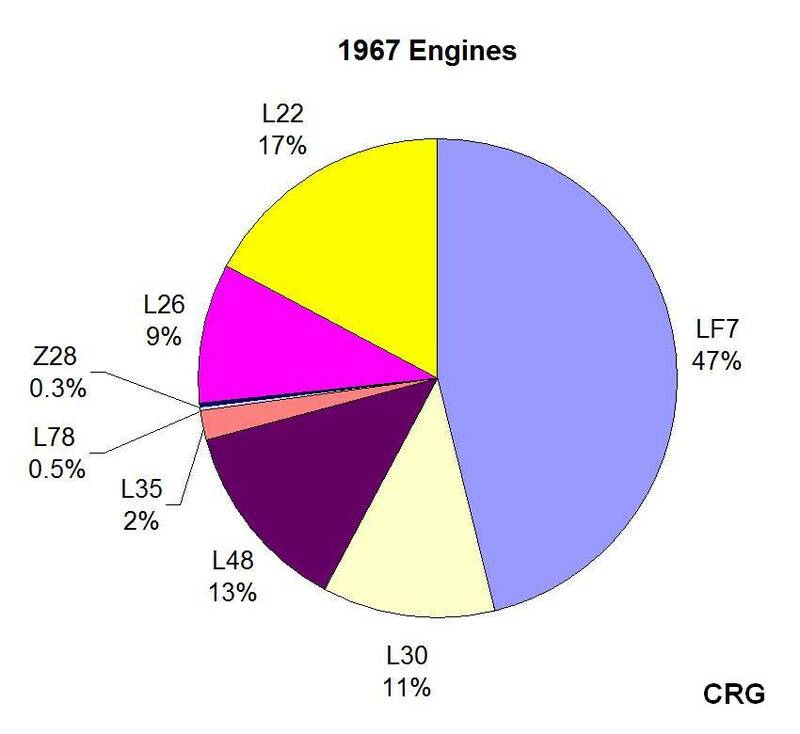 Engines available until 1/1/69 are shown under the early column and their replacements are shown under the late column. 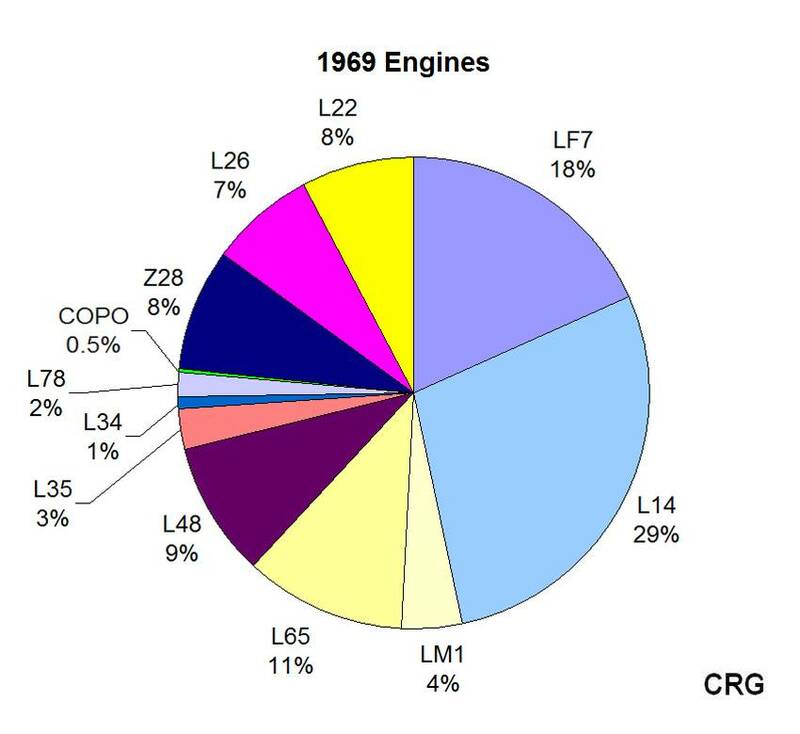 See the COPO article for information about the 1969 L78 and L72 production totals. ^ See COPO article for more info. The 302 engine was only available in first-generation Z-28s (the 350 LT-1 was used in 2nd generation Z-28s), and was created in response to a Trans Am racing engine displacement limitation at that time of 5 liters (305ci). The 302 was created by installing a short-stroke 283ci engine crankshaft in a 327ci block, resulting in 302ci displacement. This just fit the Trans Am limitation (the bores of the actual racing engines were tweaked to produce exactly 305ci) and this design (with special modifications for high-performance use) resulted in an unusual, high-revving engine that helped create the legend of the Z-28. The 302 was the only engine available in the first-generation Z-28. 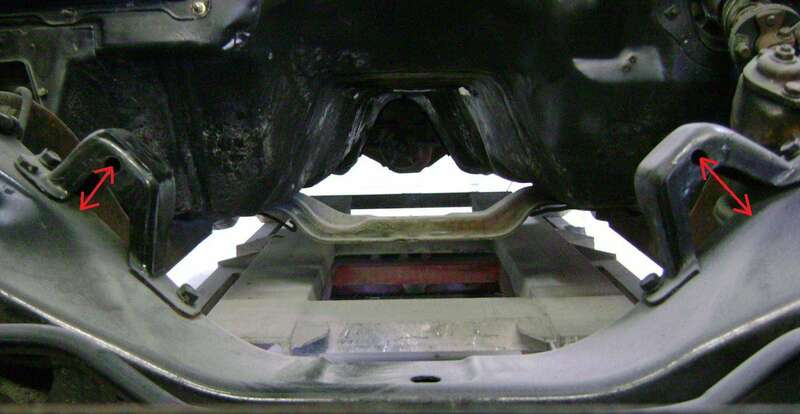 All '67-'68 small-block (SB) and '69 307ci and 327ci engines used the same frame mount bracket (approximately 2-1/2 inches wide) attached to the subframe. The 1969 302ci and 350ci engines used a ~3/8 inch shorter and ~1/4 inch narrower bracket. 1967-68 engine mounts will assemble to the 1969 302/350 engine mount bracket, but this is an incorrect assembly that results in driveline vibration and clutch chatter because the engine sits too low and can move on the bracket. In order to gain engine compartment clearance, big block (BB) engines were offset 1/2 inch to the right (towards the passenger side) by means of asymmetric brackets. 1967-68 BB frame mount brackets are 2-1/2 inches wide (but not the same as SB) and use the same engine mounts as 67-68 302ci and 350ci. For 69, BB frame mount brackets were redesigned to use the new thicker, narrower, engine mount also used by 302ci and 350ci. BBC bracket pairs are easily spotted because the left bracket is noticeably taller than the right in order to achieve the engine offset. Note that the frame mount brackets and the engine mounts below are grouped together by functionality. The OEM engine mounts may have had different part numbers in the different applications and different years, but are functionally the same within a grouping. The original frame mount part numbers are listed. The following system will be used to identify service engine and transmission assemblies* including replacement parts. Manufacturing plants will number each assembly as it is produce. The first letter will designate the GM division which produced the engine. 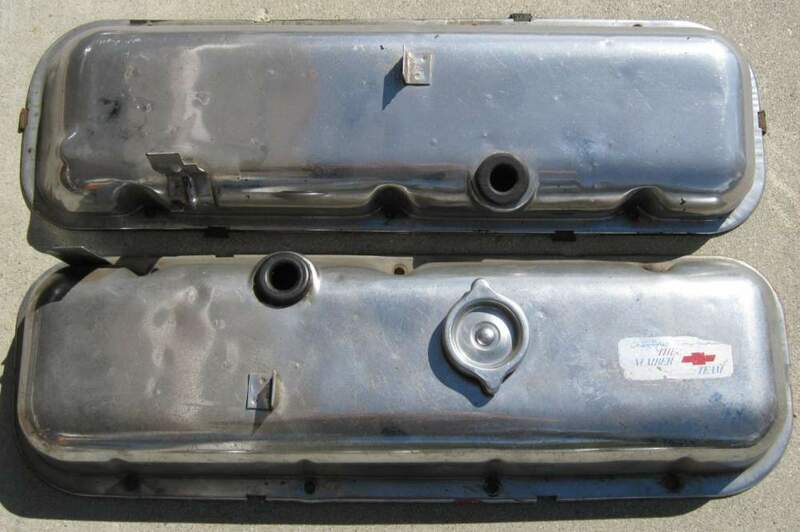 The Camaro big block valve covers used on the 396 and 427 engines were basically the same for 1967 through 1969. They had the same shape and all had oil drippers spot-welded on the inside of the cover which created the "dimples" on the outside of the cover. But the brackets attached to the valve covers changed every year. 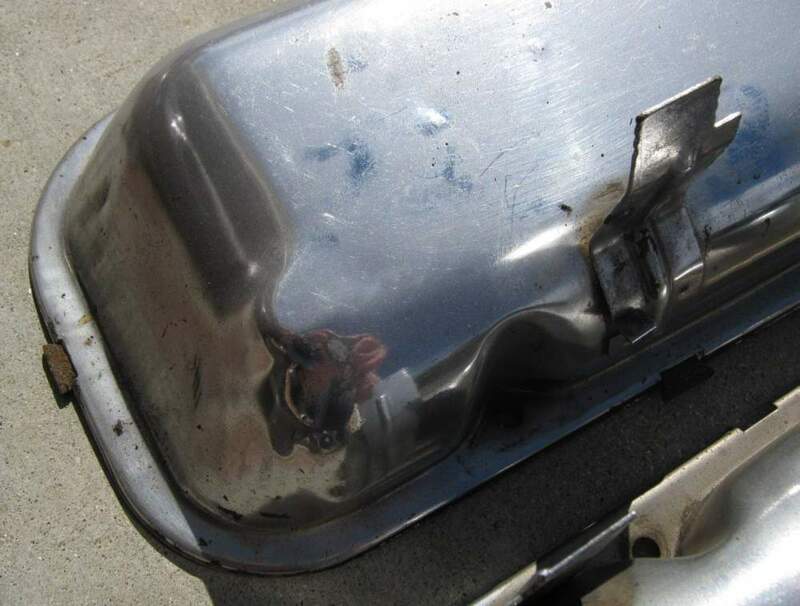 Righthand - The righthand side valve covers were similar all three years. 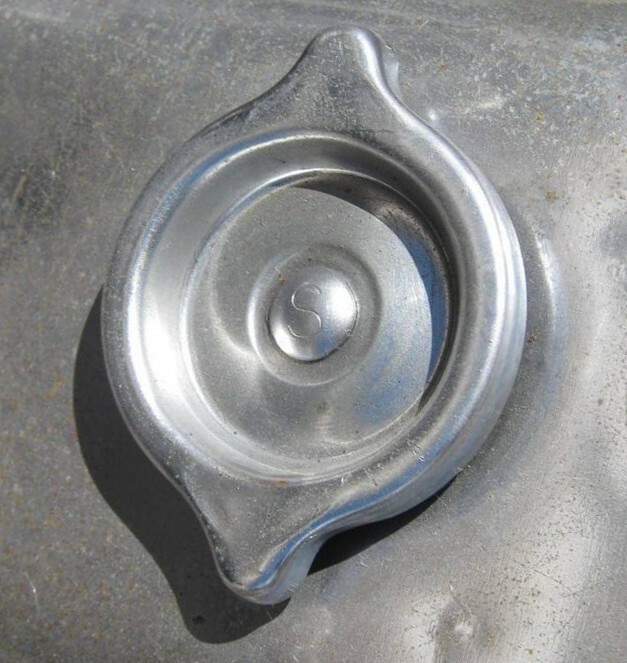 The oil cap was located on the righthand valve cover and was a twist-on style (later valve covers used a push-in rubber plug). 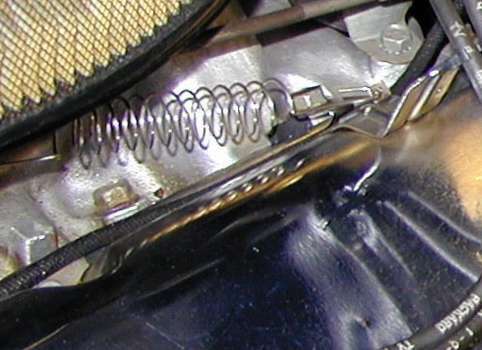 The 1967 396 with smog had a one-year-only unique cover which had a bracket on the valve cover for the fuel mixture control valve. Both 67 396 (with and without smog) RH valve covers have the spark plug wire stand welded in the center of the valve cover. Whereas the 68 and 69 RH valve covers have the spark plug wire stand located rearward, almost directly under the crankcase vent tube hole. Lefthand - The lefthand side big block valve covers had three features in common all three years - a slanted end for wiper motor clearance when removing the cover, a dimple for rocker arm clearance and for the oil dripper inside the valve cover, and the rear spark plug wire stand located forward of the rear bolt hole, also to clear the wiper motor. Both Camaros and Nova had the spark plug wire stand in this location. 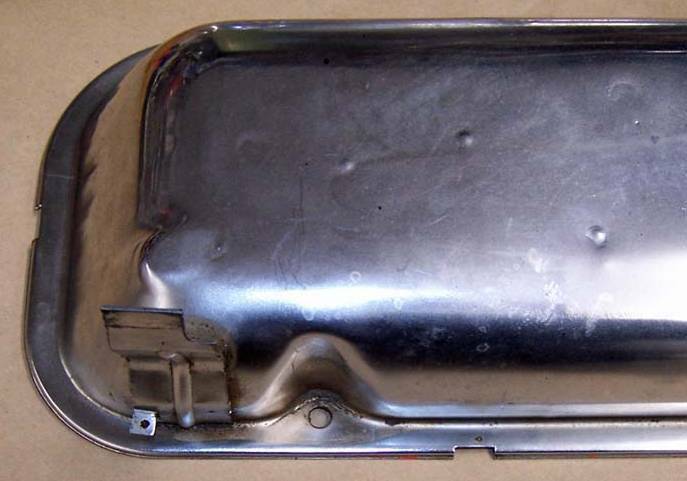 Chevelles and full-size Chevrolets had the stand rearward of the rear bolt hole. 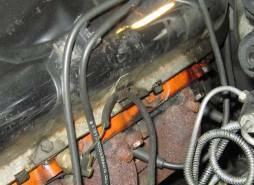 The changes in the LH valve cover are all related to the temperature sender wiring. 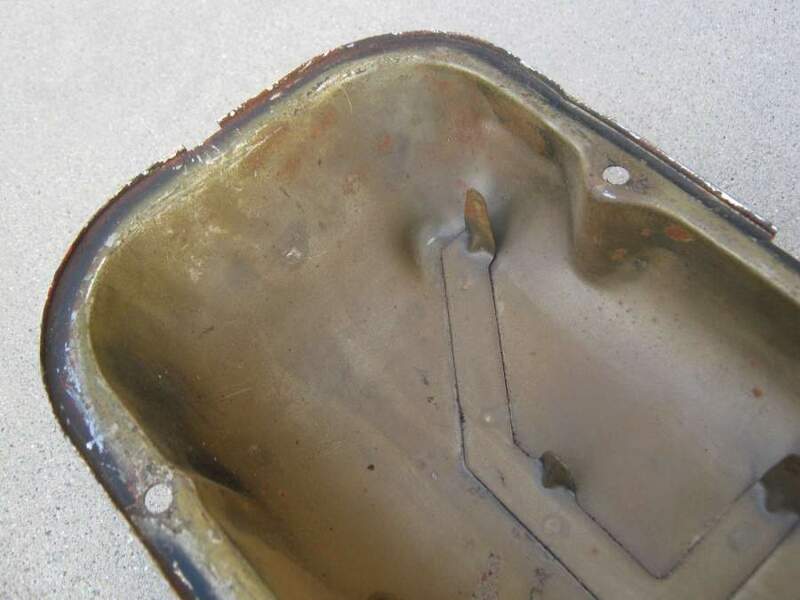 In 1967, the sender was mounted in the front of the intake and there were two temperature sender wire clip tabs along the intake side of the valve cover for routing the wiring. 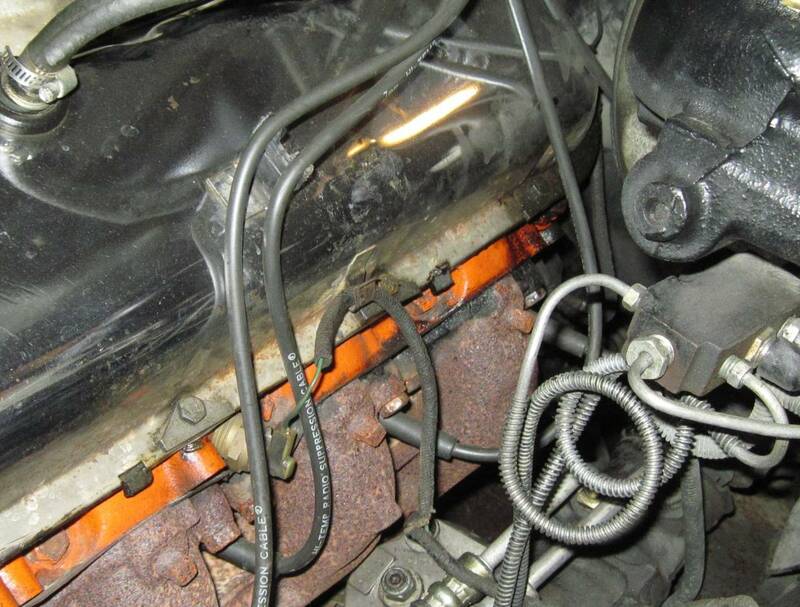 In 1968, there are no clips on the valve cover because the temperature sender was in the head and the wiring was part of the alternator harness. In 1969, the alternator moved to the other side of the engine and the temperature sender wire came out at the firewall and down the exhaust manifold side to the temperature sender in the head. 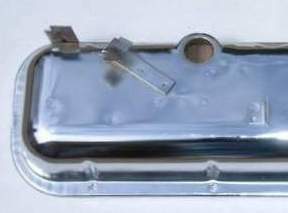 The 69 BB valve cover had one wire tab (which was dip-coated with plastic) on the exhaust manifold side of the valve cover for this wiring. CRG has created downloadable spreadsheets of the pulley part numbers and applications for first-generation Camaro. It is in PDF form, so you must have a working version of Adobe Acrobat Reader (or other PDF compatible reader/viewer) to read this file. Acrobat Reader is a free program. These download files are the copyright property of the Camaro Research Group, and are subject to the same restrictions as any other data on our web site. Do not download any of these files unless you can comply with these restrictions. Click (or Shift-Click) to download the listings in PDF format. CRG 1967 pulley listings, version 2007-02-01. CRG 1968 pulley listings, version 2007-02-01. CRG 1969 pulley listings, version 2007-02-01. CRG 1967-69 pulley listings, sorted by part number, version 2007-02-01.